The study carried out by a team of anthropologist under David Samson, who was then at the University of Toronto in Canada, shed a new light on why teenagers sleep late while grandparents stay awake at the crack of dawn. Researchers believe that, in the past, when humans lived in groups, staggered sleeping patterns would have been an advantage so that someone could always stay alerted to protect them from wild beasts. A theory suggesting that animals that live in groups stay vigilant during sleep, by having someone stay awake while others rest (Sentinel hypothesis) was proposed fifty years ago by Frederick Snyder, a psychologist. 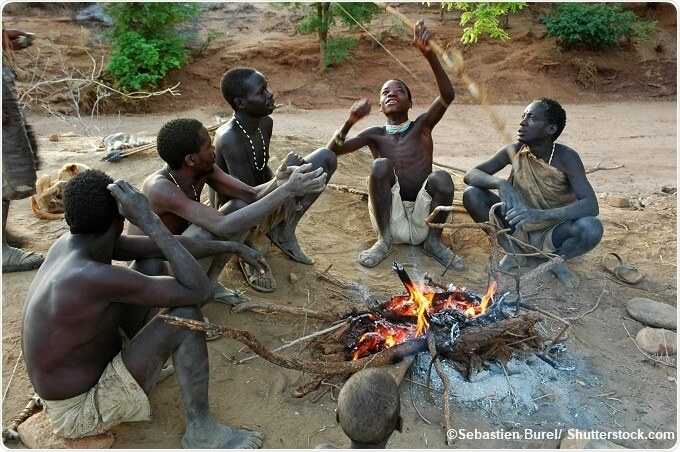 Anthropologists, to test this theory in human beings, monitored 33 adults from two nearby groups of 22 huts among the Hadza people of Northern Tanzania. The Hadza people are a group of hunter-gatherers, who live in grass huts. Each hut, in the camp of around 30 adults, houses 1 to 2 adults with several children, in addition, other camps may be close by. The participants of the study were asked to wear a motion-sensor on their wrist for 20 days in order to monitor their sleep. Samson, who is at Duke University in Durham, North Carolina presently said: “It turned out that it was extremely rare for there to be synchronous sleep. Out of some 200 hours for the entire study, for only 18 minutes were they actually all sleeping synchronously - that's 0.001%." For the other 99.8 per cent of the sleep periods sampled, at least one person was either awake or sleeping lightly and could easily be roused. An average of eight participants was awake at any given time during the study. The evolution of different chronotypes (individual differences in when we tend to sleep) is thought to be a way of maintaining this constant vigilance. This change as people gets old, with teenagers shifting towards later bedtimes, and older people towards earlier bedtimes. As per prior research, 40% to 70% of a person’s circadian rhythm is genetic. Age and environmental factors such as temperature, the wind, humidity, and nursing status are other influencing factors. Further analysis of the study uncovered the fact that this variation in sleep timing could be almost entirely accounted for by the mixture of ages in the group. The study which was published in the Proceedings of the Royal Society of London B also provided hope for those who suffer from delayed sleep phase disorder such as age-related insomnia or inability to sleep till 4 am to 5 am in the morning. Human beings have a longer life span than most of the mammals. According to the “grandmother’s hypothesis”, there’s an evolutionary advantage to living beyond reproductive age because grandparents can help look after the children in a group.